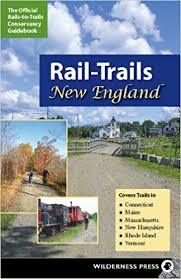 The Farmington Canal Heritage Trail (FCHT) is a partially paved trail running from from New Haven CT north into Massachusetts. Historic buildings, canal locks, the remains of canal aqueducts and other landmarks are evident as the trail meanders along abandoned rail corridors and canal tow paths. The Farmington River Trail (FRT) is an 18-mile loop trail which links to the FCHT at points in Farmington and Simsbury passing through Unionville, Collinsville, Burlington and Canton along the banks of the Farmington River tracing the route of the old “Canal Line” railroad. A section of the trail is designed to be a part of the eventual East Coast Greenway.